Fresno State is the first school in college football history to go from double-digit losses to two consecutive seasons of double-figure victories. Coach Jeff Tedford orchestrated the turnaround. Fresno State went 1-11 two seasons ago before turning to one of its own in graduate Jeff Tedford. He oversaw an immediate turnaround, with the Bulldogs going 10-4 last season and playing for the Mountain West title. 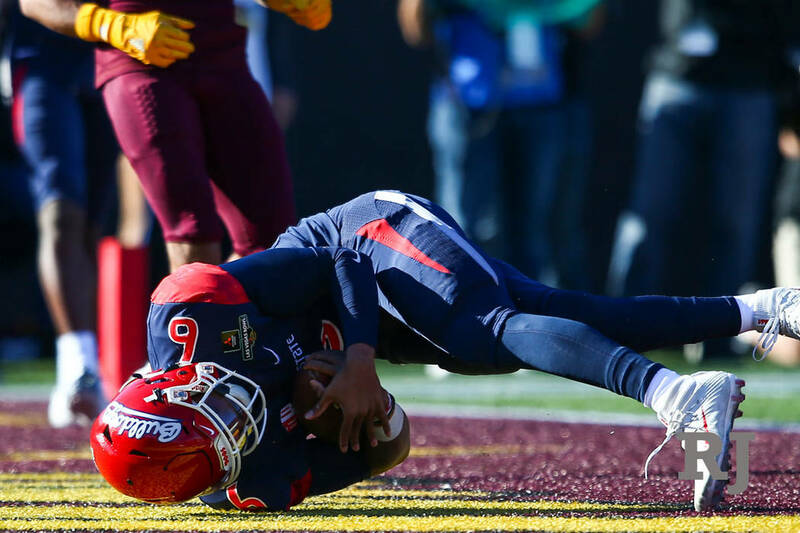 They then took it up another notch by going 12-2 this season, winning the Mountain West championship and beating Arizona State 31-20 in Saturday’s Las Vegas Bowl at Sam Boyd Stadium. The 19th-ranked Bulldogs became the first team in program history to win 12 games and the first in NCAA history to follow a double-figure losing season with back-to-back years of double-digit victories. “I think it’s a life lesson about perseverance,” Tedford said. “They went through a hard time two years ago, but to continue to believe and work your way through certain things, life is like that. His players said they quickly believed in Tedford. “When you go 1-11 and your coach (Tim DeRuyter) gets fired, it creates a vacuum, and you’re looking for someone to teach you how to win,” Fresno State linebacker George Helmuth said. “Coach Tedford came in with a plan, and he taught us how to win, and it was immediate buy-in because you know who he is. He’s been a great coach in the past. 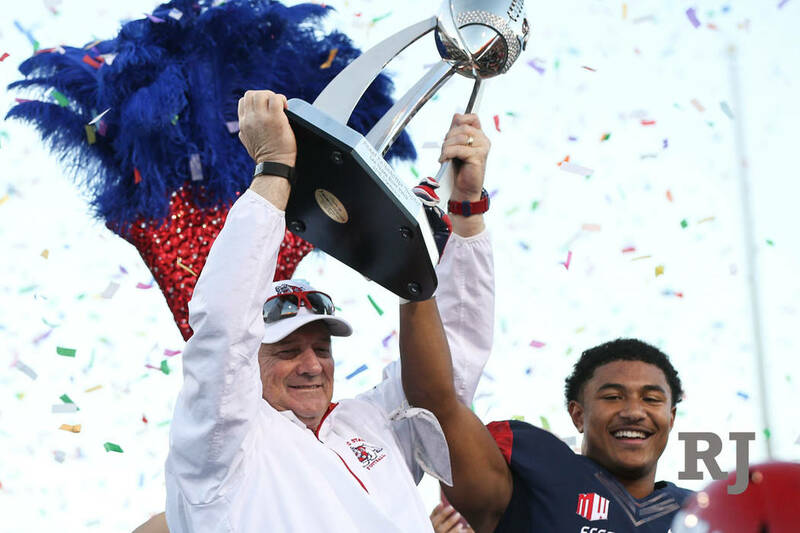 Tedford became the first coach to win the Las Vegas Bowl with two schools. He led California to a 35-28 victory over Brigham Young in 2005. 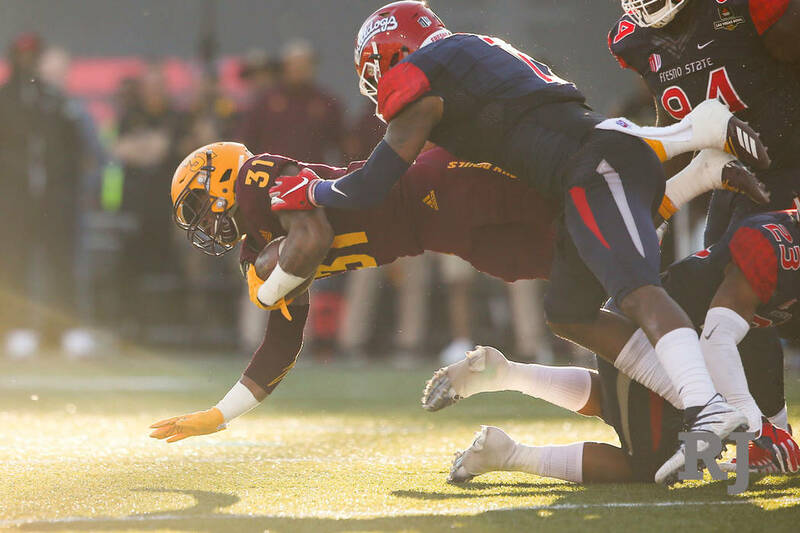 Arizona State senior quarterback Manny Wilkins said the knee injury he suffered late in the fourth quarter wasn’t nearly as serious as it appeared. He began to get emotional when talking about his final game as a Sun Devil. Wilkins is fifth in Arizona State history with 8,624 yards passing. Against Fresno State, he completed 19 of 31 passes for 129 yards with a touchdown and two interceptions. “I’m good; I left it all out there, so that’s all I needed to do,” Wilkins said as coach Herm Edwards put his right arm around his back. The Mountain West representative has won the past three Las Vegas Bowls and is 12-7 overall. … This was the first time in the game’s 27-year history that each team produced a 100-yard rusher. 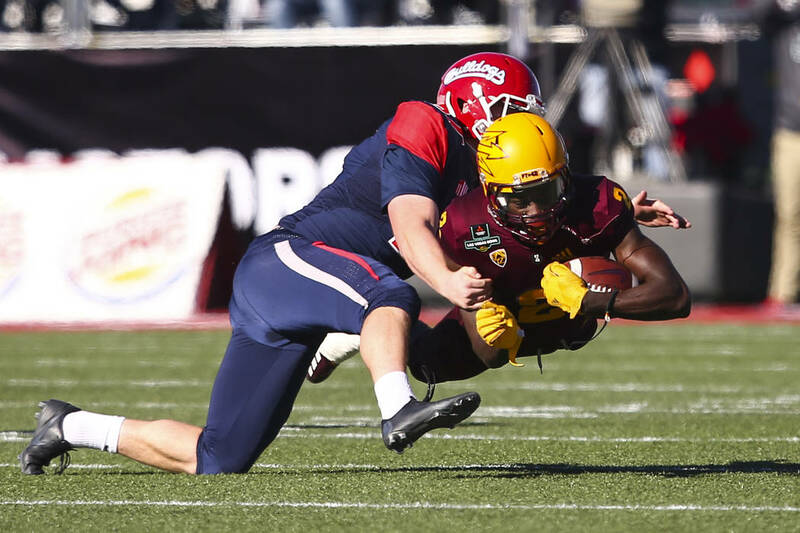 Fresno State’s Ronnie Rivers rushed for 212 yards, and Arizona State’s Eno Benjamin gained 118. 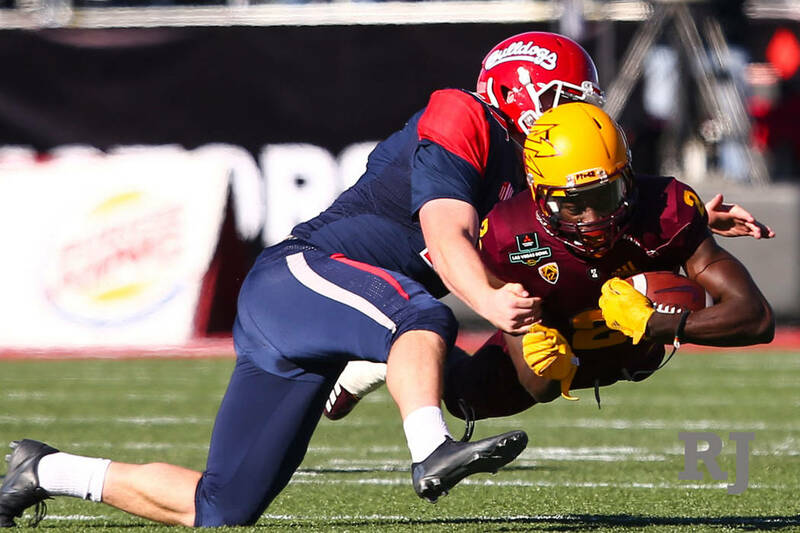 … Fresno State won for the first time in this game after two losses, and the Sun Devils dropped to 0-2. … The announced crowd of 37,146 was the ninth highest for the game.